GARGANTUA CONTENT MANAGEMENT IS A ROBUST CONTENTS MANAGEMENT SOLUTION, HIGHLY SECURED AND RICH IN DOCUMENTS HANDLING FEATURES. Connections with the main messaging services (Outlook, Thunderbird,…) allow you to import, and to send mail and attached documents with a simple drag and drop. Interfaces with major software suites give immediate and transparent access to Microsoft Office, Open Office,… to read, modify, and version documents. Network interfaces with business applications through API or Web-Services enable a structuring of solutions based on your information system. The multiple file formats recognized (more than 150) allow you to integrate and handle directly in the tool documents in their native format (texts, images, videos, hand-written memos, folders, mails and attached documents, forms,…) or their conversion in pdf. Our multi-database approach opens infinite prospects. Customized portals make it possible to model and adapt user interfaces according to their professions, their needs, and their EDMS uses. Dynamic classification plans allow users to get a new tree view based on the documents folders / subfolders of their choice, regardless of the initial plan of classification. Collaborative work tools are integrated to meet the needs of document sharing or documentary coproduction: workspaces, versioning management, lockable resource reservation, post-it apposition, comments, circulation of documents and collective work management through simplified and turnkey workflow process (“validation cycles “). Individual workspaces are handled directly by users so that everyone can manage their own bookmarks, alerts, tasks, and find the latest publications that meet their interests. In addition, the documentary baskets are managed and filled by each user for a specific use (for example: ” To do List “, or downloading an set of document if needed, or e-mailing, or creating a standalone media,…). UAn integrated OCR solution, supplied through a partnership with the software editor Abbyy, allows the recognition of characters on a wide range of image files, especially the tiff, jpeg, png and pdf formats. The file then can be searched by its content (full-text search). Documents with probative value can be archived through the digital certificate features (visible or invisible) and the insertion of digital or handwritten signatures. 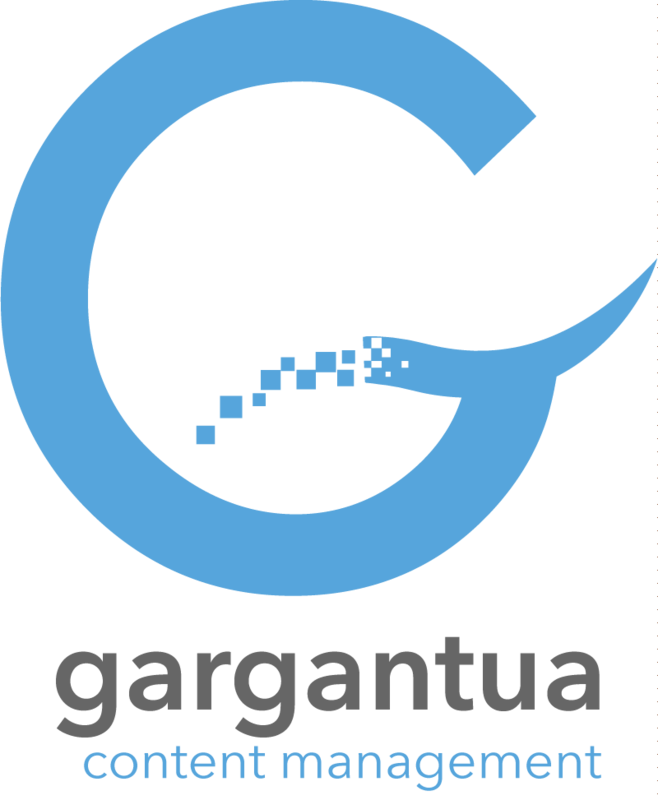 Gargantua Content Management is also a set of tools made to automate electronic archiving rules: precise configuration of the archiving times, of the object destruction and/or object movement depending on a range of conditions.